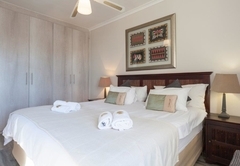 Valid 16-30 April 2019: 10% discount on standard rates, on stays of 3 nights or longer. 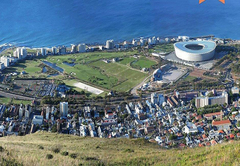 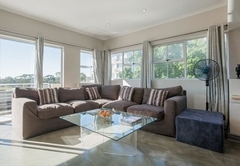 York Mews 14 is a property providing self catering in Green Point for up to 4 guests visiting the Atlantic Seaboard region. 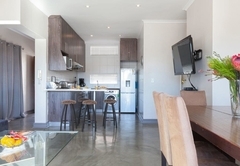 York Mews 14 is a lovely two bedroom self catering apartment, located within the trendy hub of cosmopolitan Green Point, walking distance to shops, restaurants, entertainment and the V&A Waterfront. 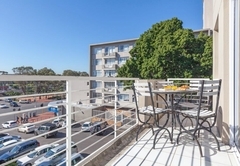 This spacious apartment has an open patio on the top floor and is front facing. 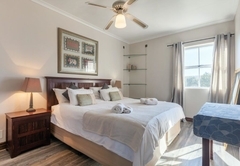 The unit sleeps four guests in two bedrooms. 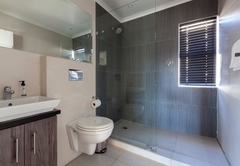 There is one renovated bathroom - shower only (including towels and linen). 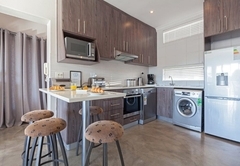 The apartment is fully furnished and contains a fully equipped open plan kitchen that boasts a coffee machine, washing machine and a dishwasher. 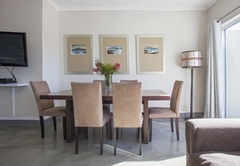 There is a dining table, lounge with large LCD TV (DStv) and mini Hi Fi / CD player. 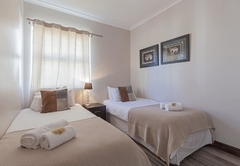 We offer excellent security and safe basement parking, free Wi-Fi internet, a safe as well as complimentary coffee, tea and amenities for the first night. 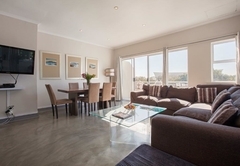 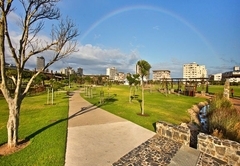 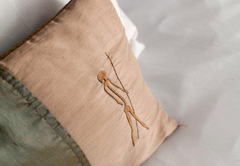 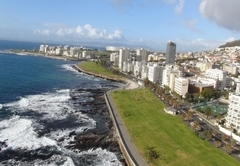 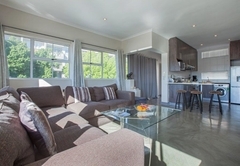 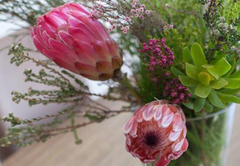 An elegant 2 bedroom self-catering apartment with a patio overlooking the Green Point hub. 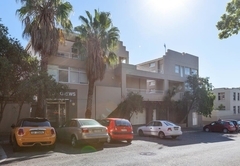 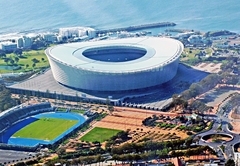 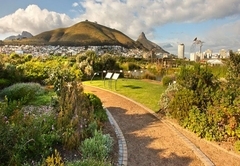 Within walking distance of the V&A Waterfront and Green Point / De Waterkant village night life. 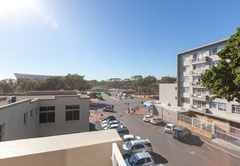 Secure Parking. 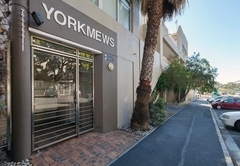 Response timeYork Mews 14 typically responds to requests in 5-10 minutes.